Oil rose for a third day on Thursday to reach its highest so far this year as financial markets drew support from investor optimism that the United States and China could resolve their trade dispute. 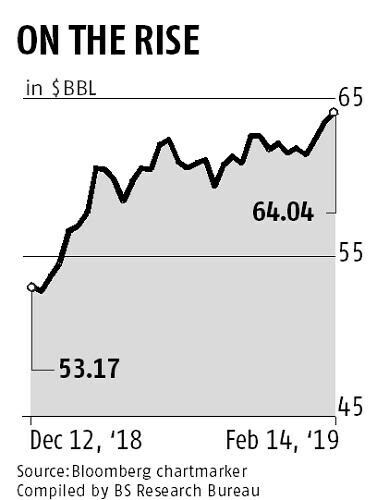 The price of crude has gained about 20 per cent this year, driven primarily by the prospect of a decline in oil supply from Opec and other top exporters such as Russia. “This rally that we’re seeing over the last two to three days is completely justified when you put the predicted Opec production cuts into your global oil supply and demand equation,” Tamas Varga of PVM Oil Associates said. Brent crude futures were up 87 cents at $64.48 a barrel by 1222 GMT, off a session high of $64.81, while US crude futures rose 52 cents to $54.42 a barrel. The Organization of the Petroleum Exporting Countries and allies such as Russia and Oman, a grouping known as Opec+, have agreed to cut crude output by a joint 1.2 million barrels per day, 800,000 bpd of which will come from Opec. “Thanks to healthy oil demand growth and lower Opec+ production ... we see the market tightening further over the coming months,” UBS analyst Giovanni Staunovo said. “As such, we continue to expect Brent oil prices will move up to $70-80 a barrel over three to six months.” Adding to the positive backdrop was data showing a surprise increase in China’s exports in January, as well as a sharp rise in imports of crude oil ahead of the Lunar New Year holidays in early February. This week’s positive tone in oil futures, however, has masked a dislocation in the physical markets. The steep rise in availability of US shale oil is leading not only to a build in domestic inventories of crude, but also in refined products. 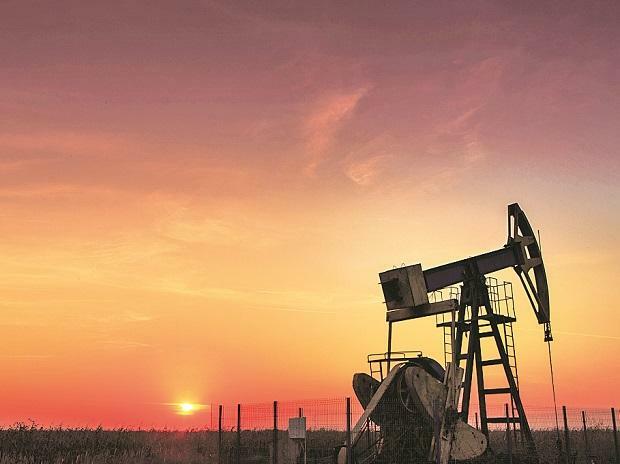 The US Energy Information Administration said on Wednesday, US crude stocks rose to their highest since November 2017 as refiners cut runs to the lowest since October 2017 to combat tumbling margins, particularly for gasoline. Prices for physical barrels of light, sweet crude that yield large quantities of gasoline have come under pressure. Heavier, sour grades that yield higher-value middle distillates such as diesel, like Russian Urals, have benefited from Opec’s output cuts and US sanctions on competing grades such as Iran’s. Crude inventories rose for a fourth week in a row, by 3.6 million barrels, compared with forecasts for a gain of 2.7 million barrels. Stocks of gasoline increased by 408,000 barrels to a near-record 258.3 million.